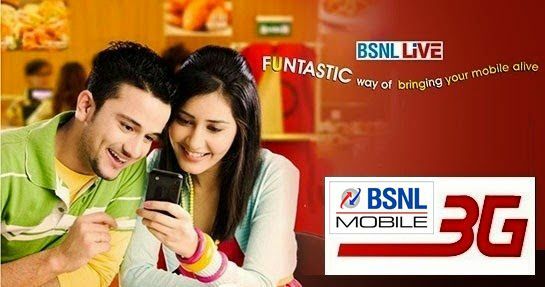 Most Trusted Telecom brand BSNL has announced rationalization of existing Internet usage STV and Calling STV MRP rates under GSM Prepaid mobile services on PAN India basis. State run Telecom Company Bharat Sanchar Nigam Limited (BSNL) revises Night Data STV 26 and Voice STV 28 sale price in all Telecom circles which is available in rates of Rs.48 and Rs.62 from 21st January, 2017 onwards. As per latest information, BSNL competent authority to benefit customer has decided to add extra talk value by revising sale price of popular and lowest rate Night Data usage STV 26 and Voice calling STV 28 without changing existing validity of 2 days. Revised BSNL Night Data STV 48 (Earlier 26) offering, Rs.22 free talk value in main account + 500MB free data usage and beyond freebies, volume based data charging 5ps/MB from 02:00hrs to 06:00hrs with 2 days validity. 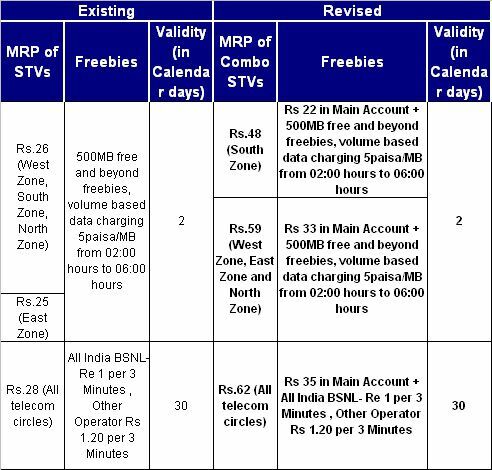 Revised BSNL Night Data STV 62 (Earlier 28) offering, Rs.35 free talk value in main account + all India voice calls to BSNL network @ 1 per 3 minutes and Other network Rs.1.20 per 3 minutes with 30 days validity. The above revised Night Internet usage STV and Voice STV will be available from 21st January, 2017 onwards in all Telecom circles. Note: The rate of STVs may vary in each telecom circle according to the technical feasibility and availability. However, the free talk value may also vary depending upon the STV availability and Price fixed by telecom circle.